Concussions and head trauma are not taken seriously enough by our hospitals, doctors and emergency rooms according to one recently released study. Failing to provide adequate care for a traumatic brain injury can have devastating effects on the victim and the victim’s family. It’s important to know your rights when it comes to pursuing a medical malpractice claim for a lack of follow-up treatment related to head trauma. A recently released study revealed a disturbing trend where less than half of patients treated for a head injury are provided with any sort of follow-up care. This study followed 831 patients visiting the emergency room for head trauma for a year after their original injury. Only 42 percent of those patients reported being educated about their condition, and a mere 44 percent received a follow-up call from their hospital. Even more disturbing, only 40 percent of patients diagnosed with severe brain lesions had any follow-up care after their injury. Can Lack of Follow-Up Care in PA Lead to a Medical Malpractice Claim? Individuals suffering from a traumatic brain injury may experience additional pain, unnecessary suffering or further injury from a lack of follow-up care. Patients experiencing this may have a basis for a medical malpractice claim. For over 20 years, dedicated medical malpractice attorney Jason Matzus has been fighting for his client’s full financial recovery in court. 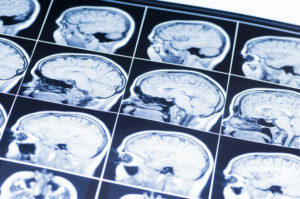 He understands how devastating and life-changing brain injuries can be, so he won’t hesitate to pursue the maximum compensation in these situations. To reach his law office, simply fill out the contact box located on his website.